The Copple Endowed Chair in Christian School Leadership is an endowed professorship that uniquely furthers the aspirations of the Center for Christian Education at Baylor School of Education. Created in 2017 through a generous endowment from Lynda and Robert Copple of Frisco, Texas, the Chair will be a visionary Christian leader to anchor the intellectual and academic enterprises of the Center for Christian Education. The Chair will be a distinguished scholar with a record of deep commitment to Christian schooling and to the flourishing of Christian leaders across school sectors. The Copple Chair will lead the programmatic and scholarly agenda of the CCE. WACO, Texas (Nov. 9, 2017) - Baylor University today announced a gift of $2.5 million from Lynda and Robert Copple of Frisco that will create the Lynda and Robert Copple Endowed Chair in Christian School Leadership within Baylor University’s School of Education. The gift will enable Baylor to attract a visionary Christian leader to lay the academic and intellectual foundations of the Center for Christian Education (CCE) and establish the Center as the preeminent provider of professional development for leaders of Christian schools and for Christian leaders in non-sectarian school settings. The inaugural holder of the Copple Chair will be a distinguished scholar with a record of deep commitment to high-quality Christian schooling and to the flourishing of Christian leaders across private and public school sectors. The Copple Chair will collaborate with the dean of the School of Education and the CCE’s executive director to develop both a research agenda focused around leadership in Christian school settings and a programmatic agenda for the CCE’s expanded activities. Reflecting Baylor’s Christian mission to educate men and women for worldwide leadership and service, the Center for Christian Education is dedicated to advancing evidence-based approaches to educational improvement and values-driven leadership through a range of programming and resources. As it scales toward its aspired national and global leadership role, the CCE will launch a series of professional development “academies” tailored to help cultivate leader effectiveness through the sharpening of leaders’ knowledge bases, skill sets and professional identities. Once established through the Copples’ gift, and supported through additional ongoing fundraising, the academies may include such areas as the Academy on Transformative Leadership, Academy for Christian School Heads, Academy on Effective Board Leadership in Christian Schools, Christian Higher Education Leadership Seminar and others. The Copple Chair and expanded CCE programming promise to bring increased national visibility to Baylor’s School of Education. Founded in 1919, the School of Education ranks among the nation’s top 20 education schools located at private universities. 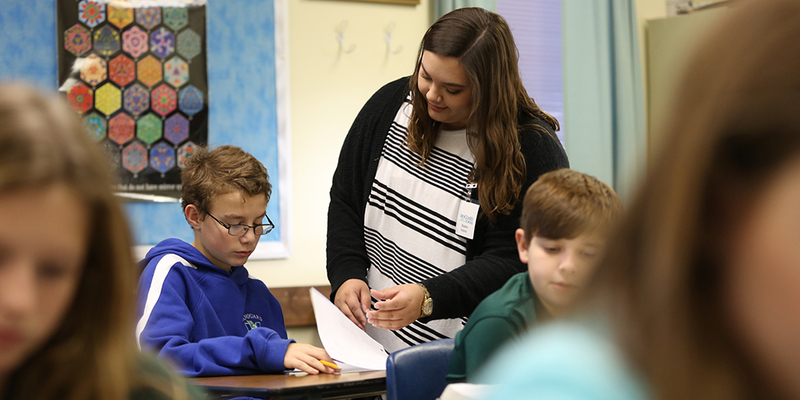 Baylor’s undergraduate program in teacher education has earned national distinction for innovative partnerships with local schools that provide future teachers deep clinical preparation, while graduate programs culminating in both the Ed.D. and Ph.D. prepare outstanding leaders, teachers, researchers and clinicians through an intentional blend of theory and practice.